Gallup is a city in McKinley County, New Mexico, United States, with a population of 21,678 as of the 2010 census. Escape the urban bustle at El Morro National Monument and Ice Cave & Bandera Volcano. You'll find plenty of places to visit near Gallup: Spider Rock (in Chinle), Monument Valley Navajo Tribal Park (in Window Rock) and Wild Spirit Wolf Sanctuary (in Ramah). 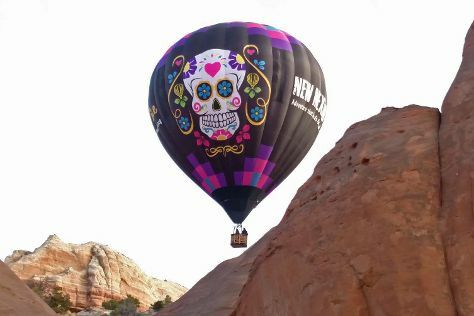 There's more to do: get interesting insight from X-Treme-Lee Fun Balloon Adventures. For ratings, where to stay, and tourist information, go to the Gallup trip planner . In April in Gallup, expect temperatures between 66°F during the day and 30°F at night. Finish up your sightseeing early on the 13th (Sat) so you can travel back home.